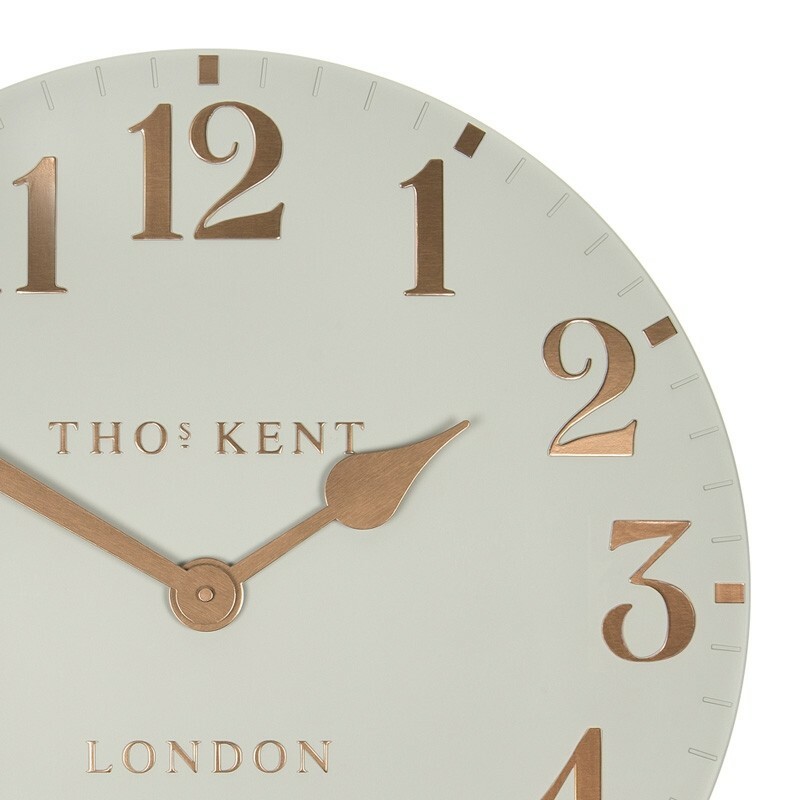 Bring on the bling, but make it tasteful with the Thomas Kent Arabic Clock Flint Grey - 20 Inch! Made of light and hardwearing resin, this impressive timepiece is skilfully hand-painted in a pale shade of grey that complements a neutral colour scheme, as well as most classic and contemporary home furnishings. The gently curved dial is trimmed with subtle lines marking the minutes, and sprinkled with shimmering copper markers that point to the hours. Raised Arabic numerals stand out from the pastel dial, flanked by two long hands finished in copper as well. With its subtle tones, it blends in tastefully with pastel colour schemes. The warm copper hues also complement a more earthy and natural, or even a bold industrialist décor with metallic accents.